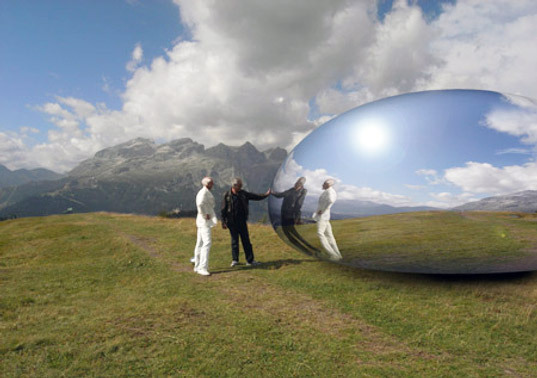 Green building of the week from Inhabitat (getting more and more utopian as time passes) is this solar powered alpine retreat - Ross Lovegrove’s Solar-Powered Alpine Capsule. Resident ET optional. Another visually stunning but probably impractical device is this kite powered bike - The Kite Powered Car.